As our world continues to advance, the changes that occur in the musical realm also continue to evolve. Technology is one aspect that will always progress, and this has a huge impact on a traditionally based activity such as square dancing. Many sources for a modern western square dance caller are available today, and with the advent of the internet and smartphones, Ipods, laptop computers, and hololens, the possibilities for a creative person have expanded a lot. The bottom line is, there are many more resources for musical choices than yesteryear. Additionally, there are much more choices and styles of dance music that can be used and not just the music that is specially made for square dance calling . For example, today anyone can download a huge variety of music from a variety of websites. This availability allows for you, as a caller, to easily offer different musical genres to your square dance audience. This is a great thing, however, there are cautionary guidelines that must be kept in mind so that your offering of different music is effective. As you select music, keep in mind that the songs that you present need to be suitable and appropriate for the audience. If you use music that is rock driven, do not use too much. On the other hand, given the roots of country and bluegrass music in square dancing, an entire night of the “two-beat” genre of music is a great way to fail in offering musical variety to your dancers. The same with fast and slow songs. Too many slow songs on singing calls is not good, and an entire night of fast square dance singing calls is not good either. Pay attention to how professional entertainers put together their song lists in their performances. The variety they offer in a set is a good model to set your dance program to. Pace your dance and spend some time thinking about what you want to present musically, and in what order will be best for the night of dance. Stay in a modern and fresh musical styling in your program, make sure that you use new square dance music releases, but also put a little traditional and older songs in your night of dance. 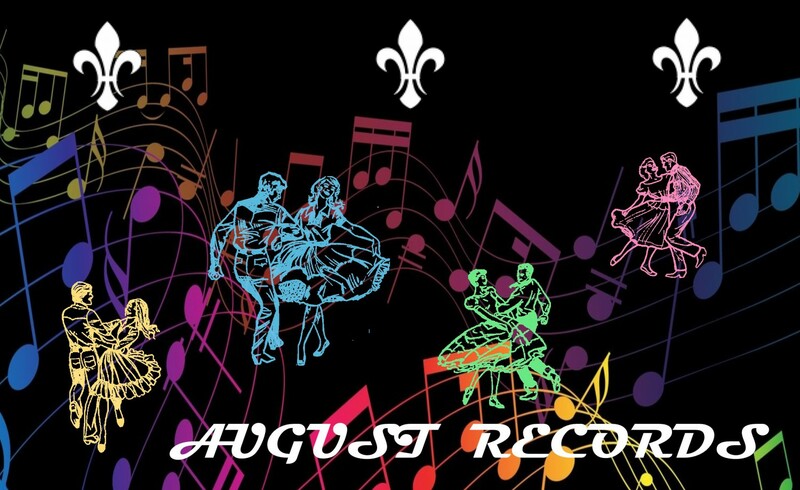 I recommend at least one tune for a singing call that is a either a “square dance classic” or an old vinyl record that you have recorded that you put in your set of songs for the dance. I am a huge fan of the old 1950’s, 1960’s square dance records . Many of these were recorded with a live band with little or no overdubs, and many times the level of the musician’s performances on these recordings were top-notch when they were pressed on vinyl. One thing to be careful about is using music that has background vocals in the mix of the song. While the beat might be great, if the vocals in the background are too loud and distracting, then the music should not be used as a square dance music choice. The dancers hearing the calls is the MOST IMPORTANT thing when you call a dance. Remember, this is a square dance. Great choreography and the dancers actually making it through those sequences of calls that you give them is the number one concern you need to have. So, use a modern approach to square dance calling and pay attention to market trends in both the square dance music industry, and the normal, everyday musical alternatives that are out there! Modern Western square dancing is danced to a variety of music types, everything from pop to traditional country to Broadway musical to modern pop and even rock and techno-dance. What I like to do is use more involved and challenging figures when the music is not as “loaded” with high energy tempos and melodies that might distract. Being intricate with choreography accompanied by slower and smoother types of music works best. Which brings us to a more involved choreographic sequence. This square dance singing call figure flows into a Left configuration. When I call this type of set-up, I call it a “Left Scootback,” even though there is not such a thing, technically. But the dancers understand this better and it helps to get them through the move. Keep in mind that this type of square dance choreography (dancing by definition, or DBD) should generally be used with simpler and slower dancing tempos (120 bpm or less) and you should incorporate this more unusual and different choreography into you patter calling beforehand. Actually, you should make this “Left Scootback” sequence the theme of the patter portion prior to the use of the figure sequence in your singing call. CALLING TIP! All of the factors that contribute to a successful dance are your responsibility, so be prepared! Left hand figures are great for improving dance ability and add to variety in your program for the night! Mission Statement: The purpose of this post is to create a greater visibility of the square dance activity for future dance population growth on a national and local level. The information provided here serves as a source for square dance calling education and perspectives on dance. Future articles will be developed to improve the programs of square dancing and how those learning to square dance call can help contribute to the preservation of both modern western square dancing and traditional square dancing and to aid in the growth of the square dance activity. Here is a great basic modern western square dance call sequence bringing together two different elements that will provide a little more variety for a unique singing call figure. The Girls Trade and the Boys Trade at the same time in the sequence is a neat and unusual change and a bit of a surprise! The Couples Trade is a nice touch to give the dancers practice on a few different “Trade” calls, and the dancers all stay in a nice group of four before the Ferris Wheel to complete the figure. CALLING TIP! If you are planning on flying to the National Square Dance Convention then keep in mind that packing light is the way to go! Take only a flash drive with your songs stored on it that you will use and a microphone. This will help you so that you won’t have to worry about exceeding the luggage restrictions at the airport! Square Dancing is one of the few activities that an individual or a couple can participate in that is social, relaxing, entertaining, and is great exercise for the body and mind! Call for more information on square dance classes in the Colorado Front Range and anywhere else nationally, for that matter! Nationally square dance callers have a tendency to get into comfortable calling sequences that they use often. The problem with this is, the singing call figures tend to be worn out and sometimes all too predictable. I work on creating different square dance calls that make the interest high so that the dancers cannot anticipate what is coming next a good amount of the time. By calling more interesting singing call figures, this will encourage more fun and exciting dancing and in the long run this makes all dancers on the floor stronger and better dancers by calling different variations of choreography than what they typically know or are used to. Here is a nice sequence that has simple square dance figures for the choreography. The Tag the Line Face Right leads to a little different Wheel & Deal but that’s what makes it more interesting! CALLING TIP! Use singing calls with music selections from modern country, jazz, and rock melodies as well as traditional tunes to provide a lot of variety at your dance! Enjoy using this with your dancers! See you out at the 64th National Square Dance Convention June 24-27 in Springfield, Massachusetts !